Frank Ntilikina could finally see the court for the first time since January on Friday. The Knicks guard has been battling a groin injury for two months, but is set to suit up against the Nuggets and play significant minutes at Madison Square Garden, according to an ESPN report. Frank Ntilikina will play tonight. He has been out since late January with a groin injury. Ntilikina, 20, is in his second NBA season. He has played in just 41 of New York's 72 games and is averaging 5.9 points, two rebounds and 2.8 assists in 2018-19. The Knicks added Dennis Smith Jr. to their roster via trade during Ntilikina's recovery. Other guards like Allonzo Trier and Emmanuel Mudiay have established roles in his absence. 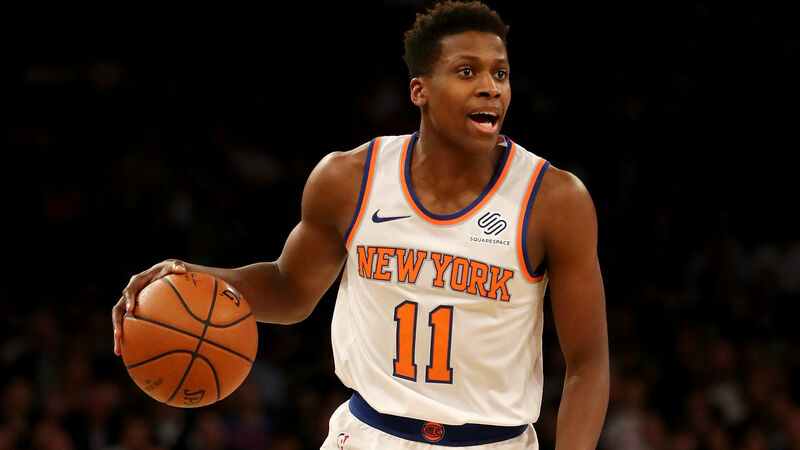 Ntilikina could appear in the rotation down the stretch in the regular season, as New York is far from the playoff picture at 14-58. It ranks last in the Eastern Conference standings. It will attempt to end a two-game losing streak against Denver.